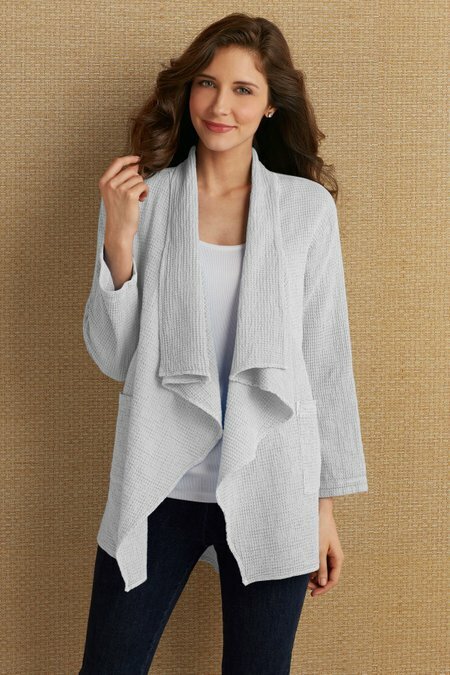 Our dimensional waffle knit cardi is the casual, cozy toss-on to keep at hand on cool summer nights or in chilly air-conditioning. So soft and drapey, it has a cascading open front, long sleeves and handy patch pockets for keys and cell phones. 32" long.